Welcome to Bullitt County, KY! Bullitt County is located approximately 20 miles south of downtown Louisville off I-65. 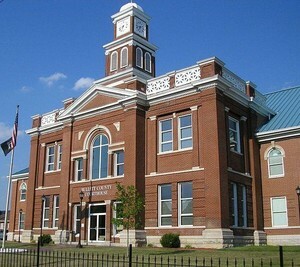 Cities and towns within Bullitt County include Hillview, Shepherdsville, Clermont, Mount Washington, Lebanon Junction, Pioneer Village, Fox Chase and Hunter's Hollow. It has a population of approximately 75,000. Founded in December 1796, Bullitt County was known for its salt mines which produced military ammunition. Today, Bullitt County is home to the famous bourbon distilleries, history and touring at Jim Beam American Outpost and award-winning wineries such as Brooks Hill, Forest Edge, MillaNova and Wight-Meyer. Bullitt County attractions include Bullitt Speedway, the famous Kart Kountry - the nation's longest go-cart track and amusements - and the Bernheim Arboretum and Research Forest with more than 32 miles of biking and hiking trails, fishing, a nature center, cafe and gift shop.